April 4th, 2014. Captain America: The Winter Soldier hits theaters and destroys one of the tenants of the Marvel Universe: the Strategic Homeland Intervention, Enforcement and Logistics Division,. Ever since Clark Gregg dropped SHIELD at the end of Iron Man, fans were hoping to see the spy organization. Then 7 movies into the MCU, the Russo Brothers won hearts and minds by shaking one of the very foundations of the MCU. SHIELD had been invaded by Hydra, by Nazis — they couldn’t be trusted. The reverberations were felt throughout the MCU. It tore apart Marvel’s Agents of SHIELD. It proved to be an eerie predictor of the real world as well. Trusted institutions had been infiltrated by people whose sole goal was to take over and control people. Agents of SHIELD beat HYDRA into literal nothing, and now the MCU has introduced a new idea into the mix. The Kree-Skrull conflict isn’t a new one. After all, the notion of conquest and the problem of colonization was touched on by director Taika Watiti in Thor: Ragnarok. Captain Marvel points out that after ridding the world of fascists (those who want to take control in the form of Hydra), there’s still work to do. Amid the pure fun of watching Carol Danvers, there are plenty of threads to pull at to tell compelling stories with real-world parallels. So, let’s break down where the Kree-Skrull conflict could go, just what Carol could do, good or bad, to get involved, and why Kree vs Skrull should replace SHIELD vs Hydra. Digging into the MCU backstory between the Kree vs Skrulls is a bit of a trial. 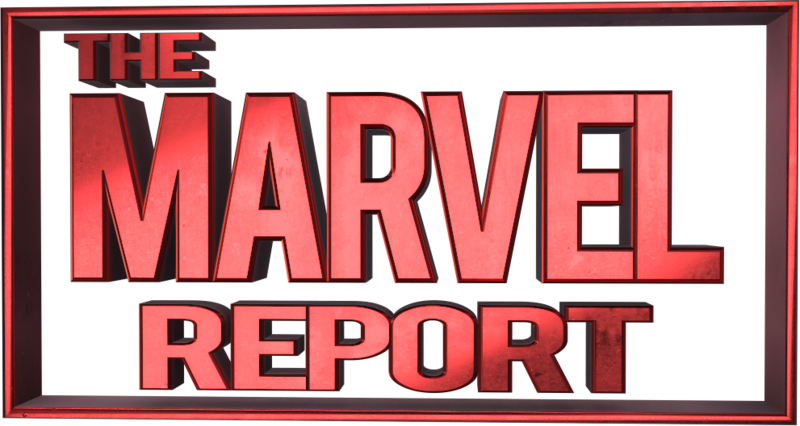 Numerous retcons of popular characters, the complicated history of Mar-Vell, and the sheer magnitude of alien races operating in Marvel comics make timelines large and complicated. The facts however, are these. Much like the Roman Empire, the Kree began as a group of tribes. The Skrulls, who at the time were peaceful, gave them space flight hoping to create an empire based on fair trade. The Kree slaughtered the Skrulls and built their own empire. It’s a tale as old as time and one that not that many people are familiar with. People hoping the Skrulls would be dark should be aware that they’re not– at least not technically. The Skrulls eventually try to invade Earth. Shaken by their battle with the Kree and the Kree’s conquering nature, the Skrulls decide on a “Secret Invasion” plan. This is the part of the story that fans are familiar with. The fact is that sympathetic Skrulls are more canon then sympathetic Kree, however. The Kree aren’t without their own problems, and much like Rome, indeed much like any empire, the Kree have their own inequalities. In this case, halfway through their history, an enterprising Kree attempted to evolve his race into a god-like force similar to the Phoenix Force. His efforts backfired, and the Kree became frozen in time and unable to evolve. This turned their efforts to science which led to the Inhumans and other efforts. Eventually, their science efforts caused the Kree to evolve into a human appearing subspecies. The blue Kree became a venerated protected class, and the pink Kree, while far more numerous, were treated as second-class citizens. Between the difference between blue and pink Kree, as well as the machinations of the Supreme Intelligence (what started as a way to preserve their history and memories then it developed sentience and became a ruler brainwashing the Kree), there’s plenty to explore on the Kree side. Mar-Vell is just one example of a Kree “traitor,” and Captain Marvel left Starforce Captain Yon-Rogg’s final fate ambiguous. Both are pink Kree, and it’s worth exploring that dynamic more. As for the Skrulls, their sympathetic side needs to be explored further, but many fans are hopeful that there are Skrulls who use their abilities for nefarious purposes. While there are reasons for this — i.e. their persecution — there’s a lot to explore about the Skrulls taking what they deserve and getting back what they’re owed. After all, they gave the Kree the technology that the Kree used to slaughter them. Carol struggling with that idea would be interesting and force her to confront her own issues. Does Carol Really Belong in This War? For all of the crimes she may have committed as a Starforce member, and for all the crimes committed against her, Carol Danvers came from a world that’s considerably more Kree then Skrull. At the end of Captain Marvel, she promises that she’s coming to end the war, but does she belong there? Is that her place? Carol’s desire to help is born from a need to protect the innocent, that’s clear. However she’s inserting herself into a conflict that’s been going on for eons. Wars that have lasted eons tend to have people who are closer than they’re willing to admit. Human history is littered with examples of this; The Hatfields and McCoys is a reasonable example. A third party intervention can help, but the only way to end a war is with peace, which is something she doesn’t seem particularly suited to. There’s nothing wrong with someone who can do a lot of damage brokering a peace, but it’s going to take some real work on Carol’s part to work towards peace. It’s going to take making peace with the Kree parts of her DNA and finding a means for both to live because the only alternative is the genocide of one side or the other. That’s going to be the most interesting conflict for Carol. Like it or not, she’s following in an age-old American tradition. She’s appointed herself as the person to dole out justice. Despite her Kree blood, she was born on Terra and is Terran. She’s not only Terran, but she comes from the nation and agency that frequently appoints themselves protectors without caring about the feelings of those that they’re protecting. Despite how it looks on the outside, that’s an incredible conflict and will make Carol a powerful nuanced heroine. How can she reconcile her warlike nature with the need to make peace? What does that mean for her? How can you broker peace between two people when it’s not technically your place to do so? She has an advantage in that she caused some of the conflict, so she’s making amends. There’s a lot more to that, however, which is going to make Captain Marvel 2 and further exploration of the Kree-Skrull conflict exciting. Can We Replace SHIELD vs Hydra Rivalry With Kree vs Skrull Rivalry? Unlike the SHIELD vs Hydra rivalry, however, the Kree vs Skrull rivalry has proven that there are at least some Kree (or perhaps only one) who don’t agree with what the Kree are doing. The Skrulls are blameless, but there’s only so far that they can be pushed until some might turn to the dark side. There’s plenty of fun things for people to play with and plenty of sides to take. The best thing about the Kree-Skrull rivalry is that it can teach people because both sides are developed. As people meet good Kree and bad Skrulls, as the Skrulls get justice and the Kree get what’s coming to them, people can learn about what motivates both sides and be encouraged to apply that knowledge in the real world. Fandom doesn’t need a rivalry to work, the MCU has proven that. Still, it would help the MCU grow and the cosmic side of the Marvel Universe get bigger in scope, adding dimension and depth. The Kree-Skrull conflict can help flesh out the MCU’s most powerful hero. It can add to the story of the MCU at large while teaching messages to people. It’s a great addition to the MCU and the future of the beloved film franchise.